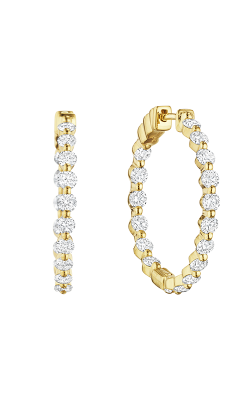 Hoop earrings are timeless, stylish, and always eye-catching. 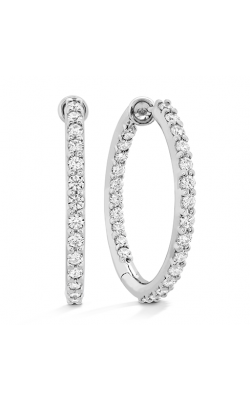 Chunky bold hoops or small dainty hoops never go out of style and are extremely versatile. This style has been worn by men, women, and children throughout history. The hoop earring started to gain popularity in the 1960's, but these classic earrings can be dated back to ancient Rome, Greece, and Egypt. 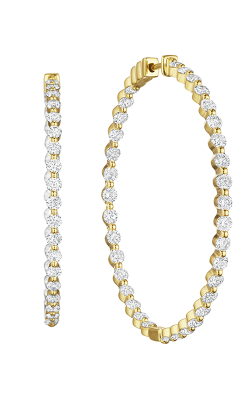 The perfect place to find high-end hoop earrings that focus on detailing and work, from designers with immaculate craftsmanship, is none other than BENARI JEWELERS. We take pride in featuring collections from designers such as Tacori, John Hardy, Simon G, Hearts on Fire, and Marco Bicego. 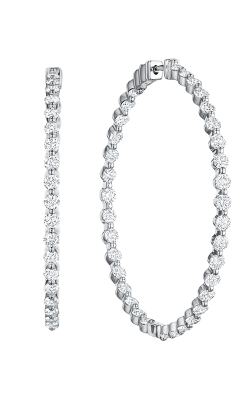 These collections capture just how elegant, authentic, and stunning hoop earrings are. Tacori's Island Rain collection focuses on bringing the elements to your jewelry. These designs are sterling silver with chunky vibrant colored gemstones. The gorgeous half moon hoop earrings in this collection have a round gemstone that is placed precisely at the head of the earring. John Hardy has several collections displaying hoop earrings as well . All of his precious creations are intricate and perfectly crafted. With Simon G’s Modern Enchantment, Vintage Explorer, and Classic Romance Collections he makes sure to design one-of-a-kind embellished pieces that execute detailing to the finest degree. The Hearts on Fire collection is absolutely breathtaking. 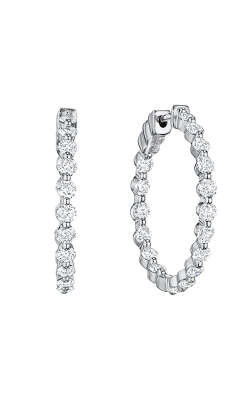 These polished jewels are sophisticated, stylish, statement earrings. 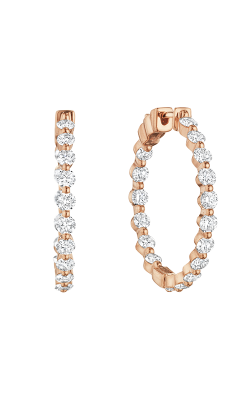 They feature sparkling round diamonds that can be set on 18k rose gold, 18k white gold, or 18k yellow gold. With the Copley, Optima, Triplicity collections from Hearts on Fire you can see the love and dedication that is put into each piece. 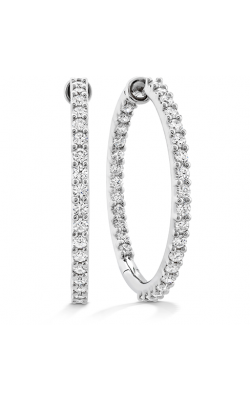 Why Shop for Hoop Earrings at BENARI JEWELERS? Our philosophy is "Treat each customer as if they were our only customer". Following this philosophy allows each customer’s experience to feel personal and genuine. We have been in business for over 50 years, which shows our dedication and care for our clients in Exton and Newtown Square, Pennsylvania. In addition to the flawless statement jewels you can find at our showrooms, we also offer resizing, polishing, cleaning, and repairs for all of your jewelry pieces. Visit us at BenariJewelers.com, call us at 866-363-0808, or stop by our store today!